Your trusted partner in logistics. 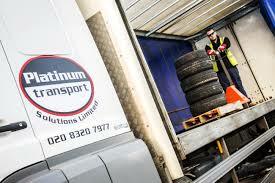 Platinum Transport Solutions was founded in 2001 to offer fast and dedicated same-day transport and logistical solutions to companies throughout the UK. In the early days our fleet was modest but we soon encountered a huge increase in demand for our services. We believe that this was a result of our honest and extremely reliable approach, our ability to put the customer at ease, and the simple fact that we are very good at what we do! Today, we operate a mixed fleet of vehicles from our 2-acre site in Belvedere, Kent. 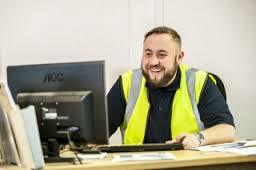 We have built up a customer base that ranges from the world’s biggest freight forwarders to small manufacturing companies and everything in between. The only thing that hasn’t changed is the fact that we treat every single customer with the same level of care and our passion for delivering an unrivalled service remains as strong today as it was back in 2001. At Platinum Transport, we constantly grow and evolve our business by listening and reacting to our customers’ needs. In the next 12 months, we will be adding a number of new vehicles to our fleet, including new lorry-mounted cranes and HIABs, forklift-mounted lorries, refrigerated vehicles and vehicles designed specially for the utilities industry. We will also be adding some standard 7.5-tonne, 18-tonne, and 26-tonne Euro 6 engine vehicles to meet our environmentally friendly and carbon efficient standards. Our warehousing capacity will also be expanding to fulfill the storage needs of our customers. Each of our vehicles is fitted with the latest technology, including real-time tracking devices that are fully integrated with tachographs. These allow us to manage our drivers’ hours and rest times accordingly. Customers can also locate the truck carrying their goods at any given moment, watch the vehicle on a live screen, and view reports on when and where a certain vehicle stopped and for how long. Many of our customers are taking advantage of this new service. Additionally, each vehicle is fitted with on-board cameras for safety purposes and to ensure the security of our customers’ goods. Our vehicle cameras can collect evidence to protect our company against false insurance claims and to promote the ongoing campaign for road safety for cyclists, pedestrians and other motorists. As FORS and CLOCS members, we remain extremely committed to this cause. For a free quote and more information about our transport services, please give us a call today at 0203 432 6851.